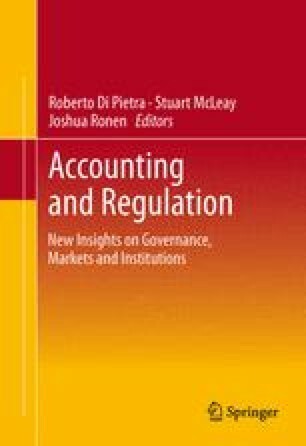 This chapter includes an edited version of the paper titled “IASB ED Management Commentary versus European Regulation: The Impact on Management’s Reports of Companies Listed on Italian Stock Exchange” and discussed at the Fifth International Workshop on Accounting and Regulation in 2010. Although this chapter is the result of shared research, Daniela Argento’s contribution is 60% and Roberto Di Pietra ’s contribution is 40 %. This paper was also presented at the 7th Workshop on European Financial Reporting, University of Bamberg (Germany, 8–9 September 2011), and the 34th EAA Annual Congress, Rome, 20–22 April 2011.